Every time I think about supporters like you, I can’t help but think of all the lives you are impacting when you give. When a girl’s life is transformed at Mercy, she goes on to transform the lives of so many others. "One of the reasons I support Mercy is my wife, Hannah. She went through some really intense things growing up, and when we were dating several years ago, a lot of pain from her past started coming up. 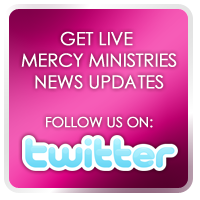 She went to Mercy Ministries, and I saw first hand the transformation that occurred. It was night and day. Hannah's life was changed, and now she and her husband are paying it forward to make sure other girls are able to experience the same kind of healing. I hope their story reminds you that the girls you help with your giving today become life-long ambassadors of God's transforming power, impacting hurting people all over the world. I just can't thank you enough! !